I was in the Boy Scouts of America from about age 8 through 15. I made it all the way to life rank, just one step below Eagle Scout. I learned a lot about the outdoors, respect and doing the right thing. But I never seemed to be able to get enough merit badges. 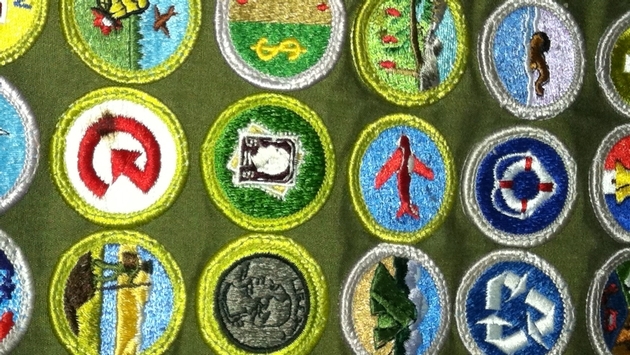 For those who don’t know, merit badges are kind of like a, “look what I can do/have done”- badge-of-honor. There are currently 135 Merit Badges available to earn, and roughly 17 are required to earn the rank of Eagle Scout. They range from basic cooking and camping to landscape architecture and veterinary medicine. Should you be visiting Washington D.C., Philadelphia or Boston, this is an easy badge to knock out. You have to pick a political leader and a private citizen and find out about their American accomplishments. No doubt that this information is available in a lot of cities across the country, but the World Heritage Site, Independence Hall in Philadelphia would be a great choice. For more information on “America's most historic square mile” and other UNESCO World Heritage Sites check out our four favorites. A trip to a Museum of Natural History is available whether you are traveling or not with at least one in every state and Washington D.C. This will make it fun and easy to gather the required information for the badge. You may be able to convince them to help you make two study skins of rats/mice or help you report on how specimens are prepared and cataloged. You also have to spend at least three hours at two different terrains or elevations and report on the mammals seen. Usually families travel to a different environment than where they typically live so this is an easy check list item, too. Just remember, if you go to the Jersey Shore, there are more mammals than just bikini-clad girls and restaurant rats but you will have to dig deeper. 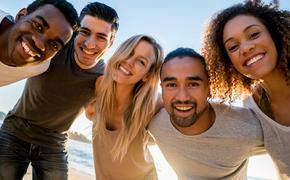 Nowadays, with the help of your handy, dandy smart phone, anyone can participate quickly and easily. Setting up an account at www.geocaching.com is free and easy, and there are caches almost everywhere in the world. Taking some time out of the day to venture outside of the selected vacation schedule or even right around your house to geocache can be fun and educational. If you are lucky enough to travel by rail for your vacation, earning this badge will be a snap. The traveling of this badge is the best part with riding a scenic railroad or visiting a railroad museum. This article here can help get you started, but keep in mind that there are railroad museums everywhere (another great rainy day activity). Finding someone in the railroad industry might be a little tougher, but if you are in a railroad destination city, ask the staff if they know of someone. Most museums and scenic rides couldn’t have come to fruition without the help of real, working trainmen and women. Meteorology has always fascinated me since even before I was a scout and there was even a period of time that I wanted to be a weatherman on television. One of my favorite parts of being a radio broadcaster was being able to research and give the forecast out daily. There are plenty of National Weather Service Offices in almost every big city, so visiting while on vacation (a great rainy day activity) shouldn’t be a problem. My favorite part of this badge is tracking the weather by partially making your own instruments and by radio/TV forecasts and then reporting on whether the weather was predicted properly. Hey kids, take it from me, this is only going to be right 45 percent of the time; probably less. Ok, so only 130 more Merit Badges to go. I am going to try completing them all this year; can you? Next up, my wife and I sit down and go over all of the Girl Scout badges. There are only about 150 of them. At least I will be well rounded and exercised!